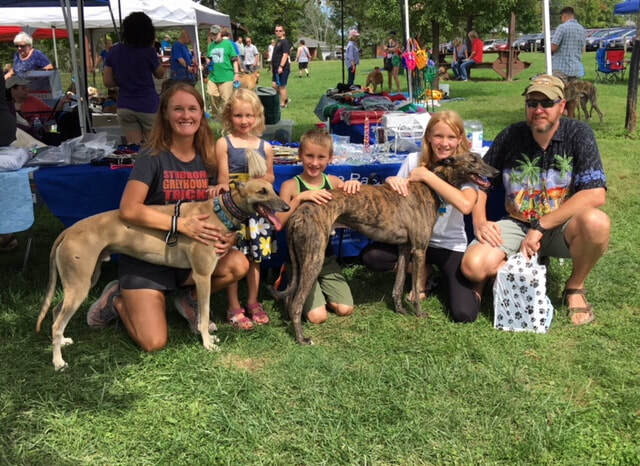 Catherine, Brian, Dottie, Calvin, Clara, and Greyhound Archie have adopted Duffy! They whole family came to the picnic and Archie and the kids immediately connected with Duffy... it took a little convincing for Dad but not much at all with the whole gang being on board. Duffy will be spoiled and loving his life with this family. So happy they were able to add to their pack with good looking Duffy.